Thermal insulation in any temperature mode does not hurt. If you hold it correctly, in the winter it will become much warmer in the rooms, and cooler in the summer heat. Wall insulation helps to create a comfortable microclimate both in the apartment and in the room for work. Manufacturers have tried and types of insulation today shine diversity. Having come to the market or to the building supermarket, one can only wonder at the variety of heaters produced. They lie rolled up in rolls and harnesses, poured into containers in the form of granules, powders and perlite sand, look like cotton from packages. And they are made in the form of various cylinders, bricks, blocks and slabs. What to choose? In principle, not the form, but the content is important first of all. About this next. Reflecting-type thermal insulation reduces heat consumption due to the fact that infrared radiation is reduced. Thermal insulation of preventing type (it is used in most cases) involves the use of insulation with a low thermal conductivity value. In this capacity, one of three types of materials can be used: inorganic, organic or mixed. 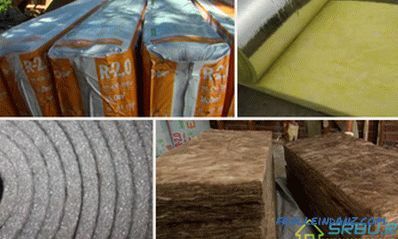 Organic insulation is widely represented on the modern construction market. For their manufacture uses raw materials of natural origin (waste from agricultural and woodworking production). Also in the composition of organic heat insulators include some types of plastic and cement. The resulting material has a high resistance to fire, does not get wet, does not react to biologically active substances. Apply it where the surface does not heat above 150 degrees. An organic heat insulator is often placed as the inner layer of a multi-layer construction. This, for example, triple panels or plastered facades. Next, consider what types of organic insulation are. This is a fairly new construction material produced from small sawdust, shavings, chopped straw, or reed. Cement and chemical additives are added to the base. These are calcium chloride, alumina sulphate and soluble glass. At the last stage of production, the products are treated with a mineralizer. Density - from 500 to 700 kilograms per cubic meter. Thermal conductivity coefficient - from 0.08 to 0.12 watts per meter per Kelvin. The compressive strength is from 0.5 to 3.5 megapascals. Flexural strength is from 0.4 to 1 megapascals. 2. 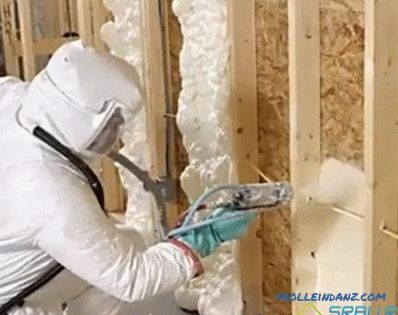 Polyvinyl chloride foam insulation. PPVH consists of polyvinyl chloride resins, which after porisation acquire a special foam structure. Since this material can be both hard and soft, it is a universal heat insulator. There are different types of insulation for walls, roof, facade, floor and entrance doors made of PVC. 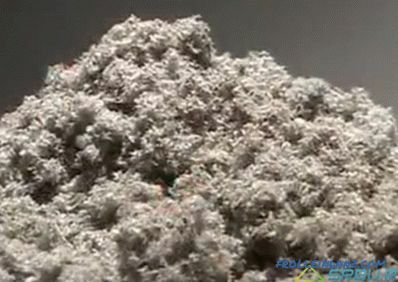 The density (average) of this material is 0.1 kilograms per cubic meter. Chipboards basically have small chips. It is nine-tenths of the total volume of the material. The rest is synthetic resin, antiseptic substance, antiprene, water repellent. Density - from 500 to 1000 kilograms per cubic meter. The tensile strength is from 0.2 to 0.5 megapascals. Flexural strength is from 10 to 25 megapascals. Humidity is from 5 to 12 percent. 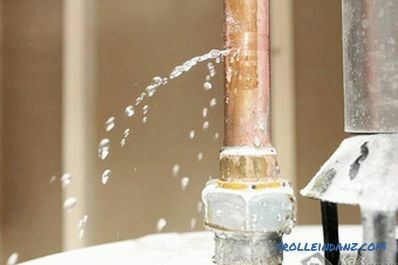 The absorption of water by the material is from 5 to 30 percent. 4. Insulation of the DVIP. The fibreboard insulation board is similar in composition to particleboard. 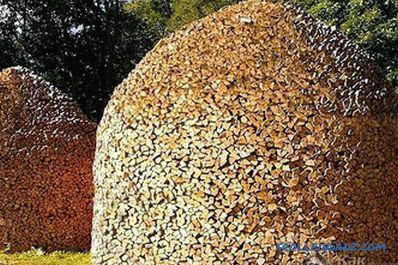 The basis is either wood waste, or pruning stalks of straw and corn. It may even be old paper. Synthetic resins are used to bind the base. Additives are antiseptics, flame retardants and water-repellent substances. Density - no more than 250 kilograms per cubic meter. Flexural strength is not more than 12 megapascals. Heat conductivity - up to 0.07 watts per meter per Kelvin. Polyurethane foam is based on polyester, to which water, emulsifiers and diisocyanate are added.Under the influence of the catalyst, all these components enter into a chemical reaction, forming a new substance. It has a good level of absorption of noise, chemically passive, not afraid of moisture. In addition, PPU is an excellent heat insulator. 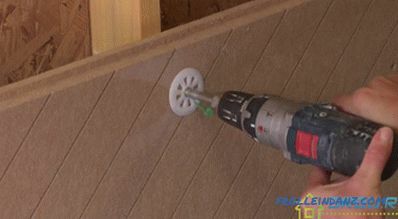 Since it is applied by spraying, it is possible to process the walls and ceiling of a complex configuration. At the same time cold bridges do not appear. Density - from 40 to 80 kilograms per cubic meter. When a density of 50 kilograms per cubic meter is reached, PPU becomes moisture-resistant. Thermal conductivity coefficient - from 0.019 to 0.028 watts per meter per Kelvin. This value is the best of all modern insulation materials. 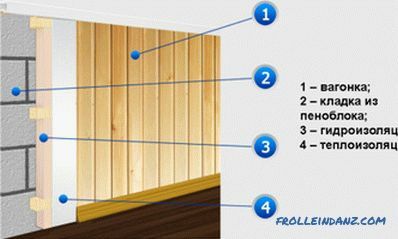 The application of polyurethane foam insulation on the surface of the walls. If you mix the urea-formaldehyde resin, more precisely, its aqueous emulsion, you get a mipore. So that the material is not fragile, glycerin is put into the raw material. For the formation of foam add sulfonic acids derived from petroleum. A catalyst that promotes solidification of the mass, is an organic acid. Mipor is sold both as a crumb and in blocks. If it is supplied in liquid form, it is poured into special cavities during construction. There, at room temperature, it becomes solid. Density - not more than 20 kilograms per cubic meter. Compared with cork, this figure is about 10 times less. The thermal conductivity is about 0.03 watts per meter per Kelvin. The ignition temperature is more than 500 degrees. If the temperature is below this value, then this material does not burn, but only undergoes charring. The minuses of the mipores are the defenselessness of exposure to aggressive chemicals, and the strong absorption of water. 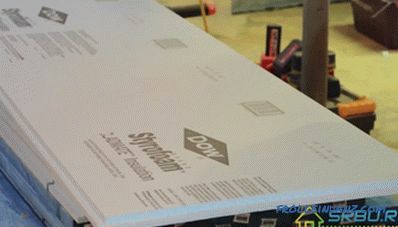 Styrofoam, also known as PPP, also known as foam plastic, is 98 percent air. The remaining 2 percent is polystyrene, which is derived from petroleum. Still in the composition of expanded polystyrene there is a small amount of modifiers. In particular, it can be flame retardants. The thermal conductivity coefficient is from 0.037 to 0.042 watts per meter per Kelvin. Resistance to bioagents and microflora is high. Flammability - low. The material is able to fade independently. If the expanded polystyrene does catch fire, it emits heat energy 7 times less than wood. Plates of simple foam, can also be attributed to this type of insulation. 8. 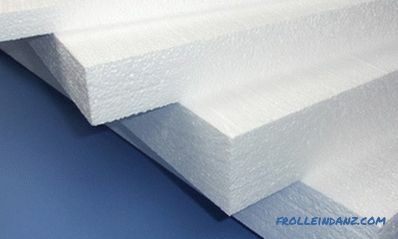 Insulation made of polyethylene foam. 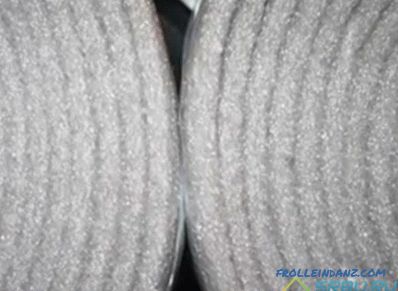 If a foaming agent is added to the polyethylene during the manufacturing process (one of the types of hydrocarbons), then we will get a material with numerous small pores inside. It has good vapor barrier properties, as well as excellent protection from external noise. Density - from 25 to 50 kilograms per cubic meter. Heat conductivity coefficient - from 0.044 to 0.051 watts per meter per Kelvin. The temperature range of application is from minus 40 to plus 100 degrees. Chemical and biological passivity - high. 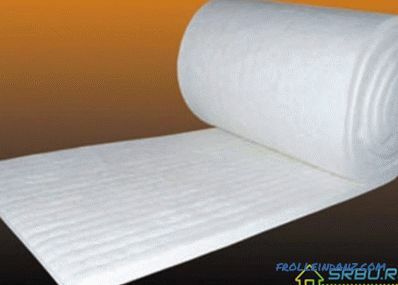 Polyethylene foam in rolls, often produce a special form for pipe insulation. Taking the narrow and thin wood shavings, also called wood wool, by adding a cement or magnesia component for binding, we obtain fibrolite. It comes in the form of plates. This material is not afraid of chemical and biological aggressive effects. 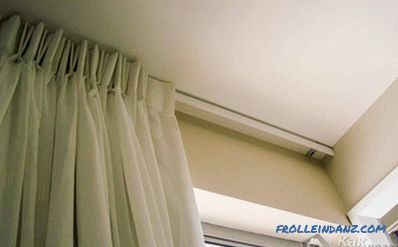 Good protection from noise, and can also be used in rooms where it is very humid. This, for example, pools. Density - from 300 to 500 kilograms per cubic meter. Heat conductivity coefficient - from 0.08 to 0.1 watt per meter per Kelvin. As a rule, this material consists of hexagonal cells resembling cells, hence the name. However, there are types of honeycomb, where the shape of the cells is different from the hexagon.The filler is a special fabric or paper based on carbon, cellulose, organic or glass fibers coated with film. These fibers are bound with thermoactive resins - phenolic or epoxy. The outer sides of the honeycomb panels are thin sheets of laminate. The characteristics of a honeycomb depend on which raw material is the basis of this material. A significant role is played by the size of the cells and the amount of resin used to bind the base. This material is made from the waste of paper and cardboard production. The waste remaining in the manufacture of corrugated cardboard boxes, defective books, newspapers and magazines, cardboard production waste are used. It is possible and to use waste paper for these purposes - only then the raw material will be lower quality. After all, such material will become contaminated more quickly, and will also differ in diversity and heterogeneity. Sound insulation is very high. A layer of this material of just 1.5 centimeters is capable of absorbing up to 9 dB of extraneous noise. Thermal insulation capacity is very high. Minus - its decrease with time. After all, ecowool gradually loses up to one fifth of its volume. Moisture absorption is high. This parameter ranges from 9 to 15 percent. The absence of seams when laying by the method of continuous spraying is a definite plus. Now consider the inorganic types of insulation and their characteristics. For the manufacture of this type of materials used the following minerals: asbestos, slag, glass, rocks. 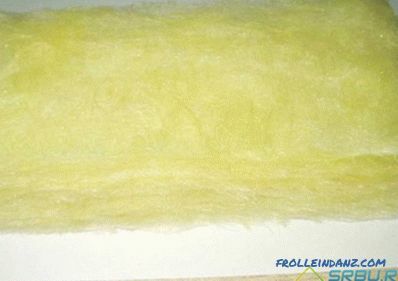 The result is glass wool, mineral wool, cellular concrete of thermal insulation type, foam glass, materials based on asbestos and ceramics, lightweight concrete based on expanded perlite or vermiculite. They can be made in the form of rolls, mats, plates, and also have a flowing appearance. The leader in the production of mineral insulation materials, of course, is mineral wool. Mineral wool has two varieties: Slag and stone. For the production of the first of them are used slags formed during the casting of ferrous and non-ferrous metals. Stone wool is based on rocks: limestone, diabase, dolomite, basalt and others. To bind the base, a component based on urea or phenol is used. 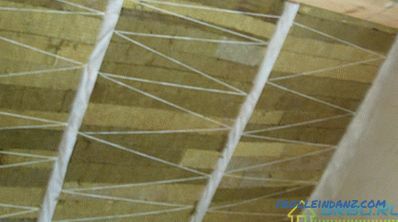 Moreover, the latter is more suitable for construction - mineral wool with this binding element is less afraid of water than the one that contains urea. Flammability is zero. Not only that - this material is also able to counteract the spread of fire. Therefore, it can be used as a means to protect against fire. Noise absorption is very high. It is very practical to use the mineral wool as a sound insulator. Shrinkage is extremely low. Over time, the size of the material does not practically change, so it is possible to avoid the appearance of cold bridges. Vapor permeability is high. This is a minus of this heater - in its application it is necessary to lay a vapor barrier layer. The attic is insulated with mineral wool. This material is made from the same raw materials as ordinary glass. However, glass production wastes are quite suitable for it. Unlike mineral wool, glass wool has thicker and longer fibers. Therefore, it is more elastic and durable. Like mineral wool, it absorbs sounds well, does not burn and is not exposed to aggressive chemicals. When heated, glass wool does not emit harmful substances. Density (in the free state) - no more than 130 kilograms per cubic meter. Heat conductivity coefficient - from 0.03 to 0.052 watts per meter per Kelvin. Resistance to high temperatures - no more than 450 degrees. And this is how the most common glass wool looks like. As a base, this material is alumina, zirconium or silicon oxide. It is made by the method of blowing or in a centrifuge. Ceramic wool is highly resistant to high temperatures - more than even mineral wool. She is not afraid of chemically aggressive substances, and also practically does not deform. Temperature resistance is more than 1000 degrees. When heated above 100 degrees, the material becomes an electrical insulator. The coefficient of thermal conductivity at plus 600 degrees is from 0.13 to 0.16 watts per meter per Kelvin. Density - no more than 350 kilograms per cubic meter. Ceramic wool has such a white color. Mixed insulators are made of asbestos mixtures, in which mica, dolomite, perlite or diatomite are added. Also in the material are mineral components that serve to bind the base. The raw material has the consistency of sparse dough. While it has not yet hardened, it is applied to the desired place and wait for drying. Made from this material and molding products: plates and shells. Such a characteristic of heaters of this type, as heat resistance, is clearly at altitude. Asbestos-based insulators easily withstand 900 degrees. True, their numerous pores soak up moisture too well, therefore, in this case one cannot do without waterproofing. Asbestos dust is dangerous for people, especially for allergic people, therefore strict adherence to sanitary standards when using such heaters is necessary. The following asbestos heat insulators are most commonly used: sovelite and volcanite. Their thermal conductivity ranges from 0.2 watts per meter to Kelvin. Insulants, called reflex, or reflective, work on the principle of slowing down the movement of heat. After all, every building material is able to absorb this heat and then radiate. As you know, heat loss occurs mainly due to the exit of infrared rays from a building. They easily penetrate even materials whose thermal conductivity is low. But there are other substances - their surface is capable of reflecting from 97 to 99 percent of the heat reaching it. This, for example, silver, gold and polished aluminum without impurities. By taking one of these materials and building a thermal barrier with a plastic film, you can get an excellent heat insulator. Not only that - it will simultaneously serve as a vapor barrier. Therefore, it is ideal for warming baths or saunas. Today’s reflective insulation is polished aluminum (one or two layers) plus foamed polyethylene (one layer). This material is thin, but gives a tangible result. So, with a thickness of such insulation from 1 to 2.5 centimeters, the effect will be the same as when using a fibrous heat insulator from 10 to 27 centimeters thick. As an example, we call Armofol, Ecofol, Porileks, Penofol. 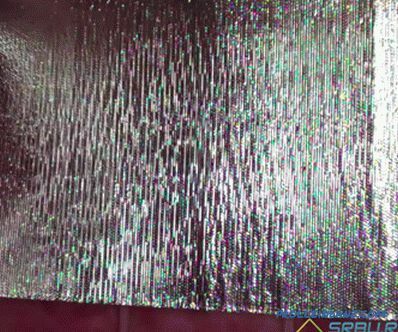 One of the types of reflective insulation. So, we have listed all types of heaters and their characteristics. Choosing one of them, pay attention to the possibility of its integrated use. 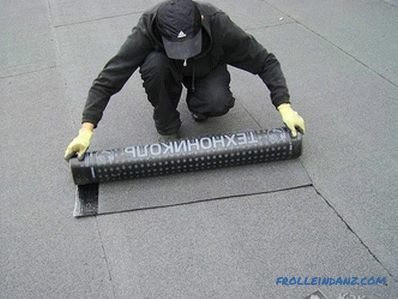 After all, it is not bad if this material not only warms your house, but also protects against noise and wind gusts.